may not show the TM in color. By Dieter E. Koop, Oceanographer. a. Sensational observations at Kew Observatory # b. Stockholm - Bingo! Three-winter record! # c. At the Centre of Marine Meteorology, but….? # d. Cold and Special - Winter 1939/40 # e. The biggest forecasting flop ever # f. Describing winter weather – without searching for causes # g. A lasting secret? The cut-off low pressure areas. 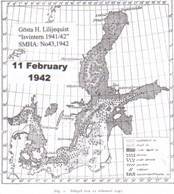 Winter 1941/42 # h. Cyclone density changes during the war? # i. The El Ni�o didn’t make the harsh war winters. a. Can people alter weather and climate? # b. Where do we stand? # c. What should we look at? Anthropogenic ocean use! 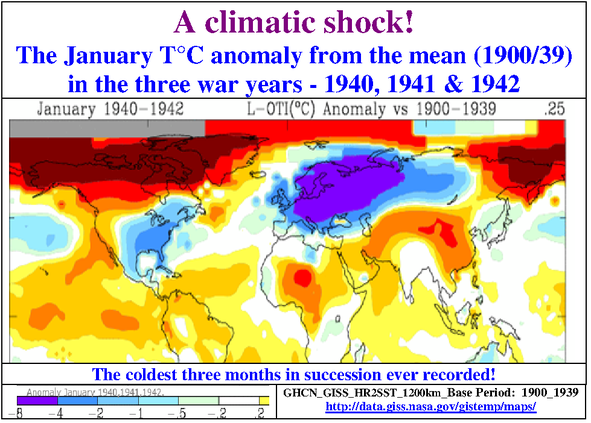 # d. Two world wars - two climatic changes # e. Comments concerning the terms "weather" and "climate" # f. Further remarks. a. Air flow blocked – Understood? – An introduction # b. The first days and the cyclone in the German Bight # c. Blocking observed but not understood # d. Not competent enough to read the wind? # e. The whole winter season affected # f. How R. Scherhag rated December 1939 # g. An anthropogenic contribution to the preparation of a record winter. a. A "lightning war" (blitzkrieg) collapses in early December 1941 # b. 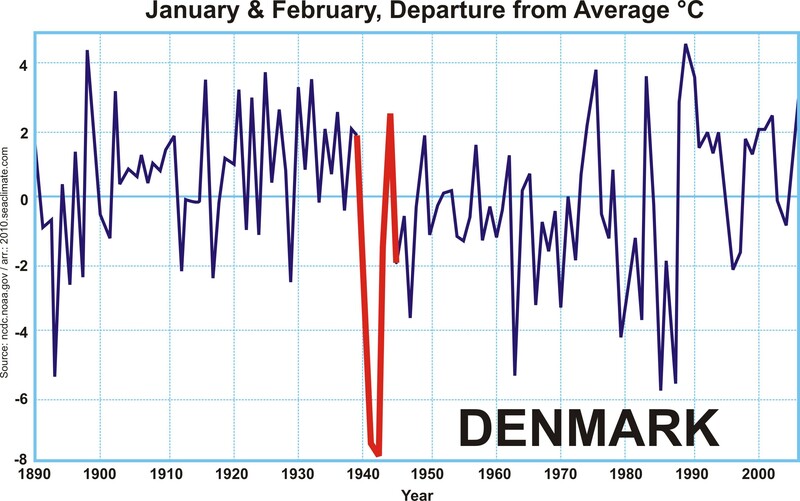 An overview of Naval Battlefields and weather deviation # c. Did the winter commence early? # d. Curiosity or what happened at Malgoviks primary school in Lappland/Sweden? # e. Early sea ice? 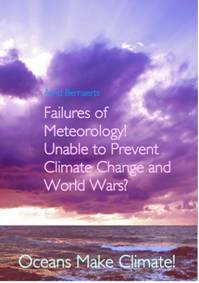 # f. What made the winter of 1941/42 so severe? a. A settled issue? # b. How global cooling was discussed first # c. What are David Thompson et al. talking about? # d. The time matters # e. Too curious? Or, towards new thinking with the jellyfish?